During the World Cup, Howler will feature a different writer each day reflecting on the action, their experience of the day’s games, or just offering a consideration of what they’ve seen and felt so far. Today, Manuel Veth compares two of the greatest playmakers to grace the game. In the buildup of the semifinal between Croatia and England FIFA displayed a film of past World Cup finals on the big screen at the Luzhniki in Moscow. Among the many moments shown are images of Johan Cruyff and the brilliant Oranje side of the 1970s. In the clip, the face of Cruyff is full of disappointment and disbelief as his Netherlands side were defeated by Germany in the 1974 final. It’s a picture of a face that I have seen a thousand times as I grew up in Germany. 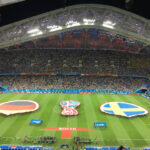 The World Cup folklore and the final against the Netherlands is, after all, a big part of the folklore that surrounds the German Nationalmannschaft. But as I get ready to write about the semifinal between Croatia and England the image of Cruyff invokes something completely different. That Cruyff’s picture looks like Luka Modrić hits me like a lightning bolt. The resemblance in that brief moment is indeed shocking. Both have that haggard look of an artist in their face. Both look worn out after every match, almost overwhelmed with the incredible talent they’ve once again put on the show for the world to witness. There’s also a sense of foreboding in Modrić’s face. Many expect that France will win the final against Croatia on Sunday. Without a doubt, should Croatia be defeated the cameras will quickly to show a disappointed Modrić—in that instance he’ll be ranked among the greats of world football that have failed to win the World Cup. Indeed there is a chance that Modrić could be one day be on a list that includes Puskas, di Stefano and, well, Cruyff. There’s also a chance Croatia will be victorious on Sunday night and become the smallest country since Uruguay in 1950 to win the tournament. 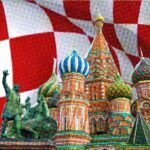 Croatia, in fact, would become the smallest European country ever to win the World Cup. As in defeat, in victory the attention will be on Modrić. In that instance, I do not doubt that his tired face will once again resemble that of the brilliant Cruyff. While both were important for their national teams, they are very different players on the field. Although Modrić, like Cruyff before him, often occupies the number 10 role behind a natural attacker, Modrić in many ways interprets his position more defensively. Cruyff, who never wore the number 10 and instead played with his favorite 14 on his back, was more of a false-nine. In 44 games for the Netherlands, Cruyff scored 33 goals. In comparison, Modrić has scored just 14 goals in his 111 games for Croatia. Cruyff played between the lines of attacking midfield and all-out attack. 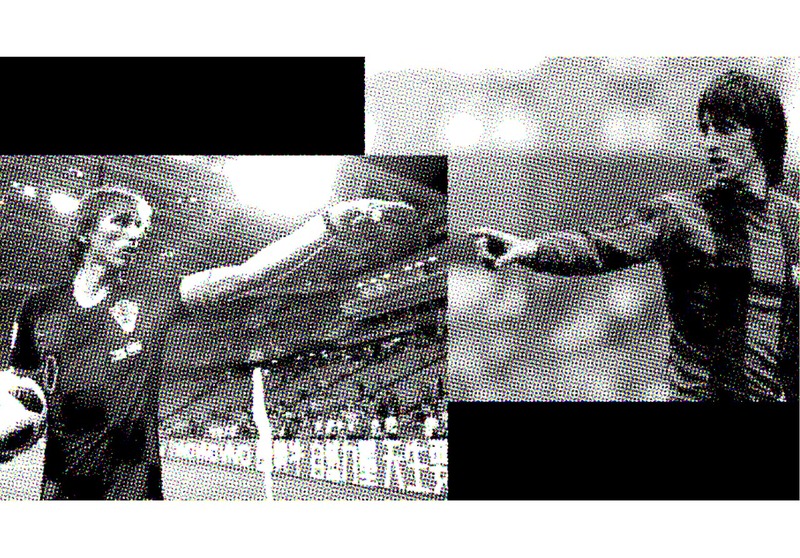 In many ways, Cruyff pioneered the role by blending the lines between midfield and attack. It was the era of Voetbal totaal defined by the brilliant Rinus Michels. Football that defied odds and broke down barriers between positions. It was creativity created by the Dutch—brilliantly intricate in its design and architecture, without stifling players. The lack of design and concept has defined this Croatia side. Croatia had no master plan going into this tournament. Instead, it’s a collective of determined players that seem to want to defy the odds by forcing their way to the World Cup crown. Seeing Croatia play is like watching chaos on the pitch. There’s no way to decode the team—it’s a mix of different styles, a marriage between the different club styles the players bring to the pitch. In that chaos, Modrić is the guiding hand. He brings sense to it all. Like Cruyff, he is not defined by a position. He is a typical number ten without being a typical number ten. His coach Zlatko Dalić has moved Modrić back and forward, playing him right behind a natural striker or further back as a number six or number eight even. In many regards, the tactical positioning of the midfield maestro seems to be almost the only tactical plan that Dalić brings to the table. Depending on the opponent, Modrić’s strengths are adjusted to bring sense to one area or another of Croatia’s game. As a result, you can see Modrić move back and forward between positions as it was the case in Croatia’s hard-fought penalty victory against Russia. Like Cruyff before him, Modrić defines the total football of his country. Only that in Croatia’s case that total football is not designed Voetbal totaal but rather seems to have its origin in a Balkan disco. It’s a style that fits a country that, despite being one of the most advanced in the region, is still defined by the chaos of the Balkan wars that took place in the 1990s. Walking the streets of the major cities of Croatia today gives you a sense that this nation has come a long way. But there’s still chaos. A good example is Modrić’s standing back home: Involved in the Zdravko Mamić case, Modrić currently faces the possibility of a jail sentence after making a false-statement during court proceedings. His relationship with Mamić and the court proceedings have meant that Croatians have a difficult relationship with Modrić. For years Mamić ran Dinamo Zagreb—and to a certain extent the Croatian Football Federation—like his fiefdom. Benefitting from player transfers and third-party ownership, Mamić kept a stranglehold over football in Croatia. Among the players he transferred was Modrić—to Tottenham in 2008 for €21 million—earning about 20% from that transfer. Modrić has made two different statements regarding the transfer and is now facing the consequences. More importantly, however, Modrić’s involvement with Mamić, who for many years was the centre of fan protests by Croatian football fans, means that some Croatian fans even refuse to celebrate goals scored by the number ten. Abroad, however, Modrić is currently celebrated as a potential Ballon d’Or winner and is among the candidates to win the best player of the tournament award. Modrić is, therefore, loved abroad for his style of play and his abilities, while back home he has been entangled in politics and controversy. Interestingly enough this is another parallel to Cruyff. In 1978 Johan Cruyff refused to play in Argentina. Abroad, however, there was a persistent myth that Cruyff declined to play for the Netherlands to protest the military dictatorship in Argentina. At home, the story was different, however, with many Dutch claiming that it was due to sponsorship problems between Cruyff and the Dutch FA. Both myths would be debunked in 2008 as Cruyff cited family reasons. The episode says much about the relationship between Cruyff and his own country. When I lived in the Netherlands, Cruyff was often respected but not loved—seen as a man who had built most of his post-football career reputation abroad by building up the famous Barcelona academy and helping to reform Spanish football. At home, he was often seen as a moody character, someone who would often urge reform in Dutch football without contributing much to the cause. A typical Amsterdammer, Cruyff was an artist seen almost out of tune with the rest of his country. In fact, his appearance at home is almost perfectly defined by that shot shown ahead of Croatia against England game at the Luzhniki. He cuts a lonely, exhausted, disappointed figure. There’s a sense that he’s an uncomplete hero, someone who failed to finish the job of the brilliant 1970s Oranje side. Perhaps there will be an ultimate parallel Sunday. Will we have a picture of a lonely Modrić standing at the centre of the Luzhniki looking disappointed into Moscow night with his face that looks so much like Cruyff’s? Or will there be a triumph, a triumph that was not meant to be for the Netherland’s number 14?